KONNICHIWA! I bow and say to my students after we’ve sung our “Hello” song. “Huh?” “What?” “Is that Chinese?” Are some of the responses I get every time I do this with my students. They all smile, giggle and want to know what language I’m speaking. KONICHIWA! I repeat it again for them and ask them to echo me. I then pull down my world map. “Can anyone come up here and point to Japan?” Usually not, but I have had some Japanese students and they will know! Then I show them where it is on the map and show them how far away it is from the United States. Next I’ll play some music for them. “Sakura” is definitely different than Western Music. The eyebrows go up and they are really interested now. I had the opportunity to live in Japan for six years and so I’ve exposed my students to Multi-Cultural Music a lot because I’ve been able to travel a bit and it’s amazing how that has changed me. Here are some of the ways that I try to bring authentic music into my classroom. How about using authentic video recordings from the countries you are singing and dancing about? YouTube is a great place to find these resources. I especially love this little video about the Japanese song “Kaeru no uta ga”. I’ve gone through and made some selections based on the music I plan on using in my classroom. I’ve done many “Making Friends Around the World” music programs. What a wonderful opportunity for these students to learn more about Cuban Rhythms! I had the opportunity to live in Japan for six years and so I’ve exposed my students to Japanese music. I’ve also done folk dancing and enjoy pulling down the map and showing them the places I’ve traveled, how to say “hello” in different languages and then doing dances from countries all over the world. 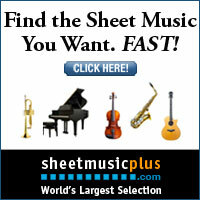 I’ve created African, Asian, Spanish/Mexican, and Southwest Music Programs too. I’ve had fiddler’s and harpists come into my classroom, but this article inspired me to address creating a broader multicultural influence in my classroom using authentic musical experiences. I’m on the look out now for what’s available in the Phoenix area. What experiences have you given your students in regards to multi-cultural music? This is a fun movement activity from Rob Amchin. You can learn it with your students! I believe it’s from Brazil, but originally from Portugal. 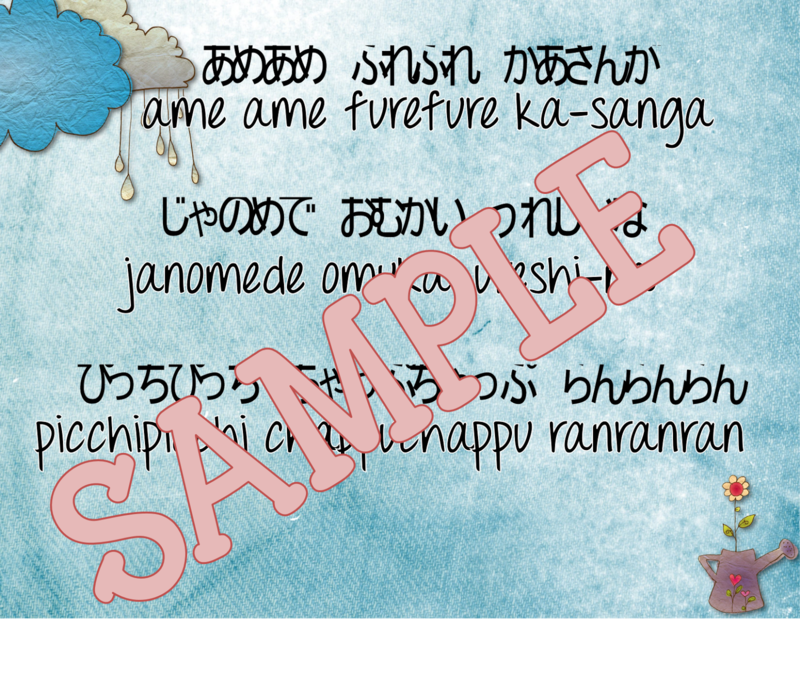 I am working with my First Graders on “Ame Fure”, a Japanese Rain Song. My students are singing it in Japanese. What I love about the teaching tool that I purchased is that it has the authentic Japanese characters in it. I just about burst into tears when I saw the characters on the lovely blue paper that looks like washi paper from Japan. It was made by Elizabeth Caldwell from “Organized Chaos”. This is the song with some authentic shots from Japan. 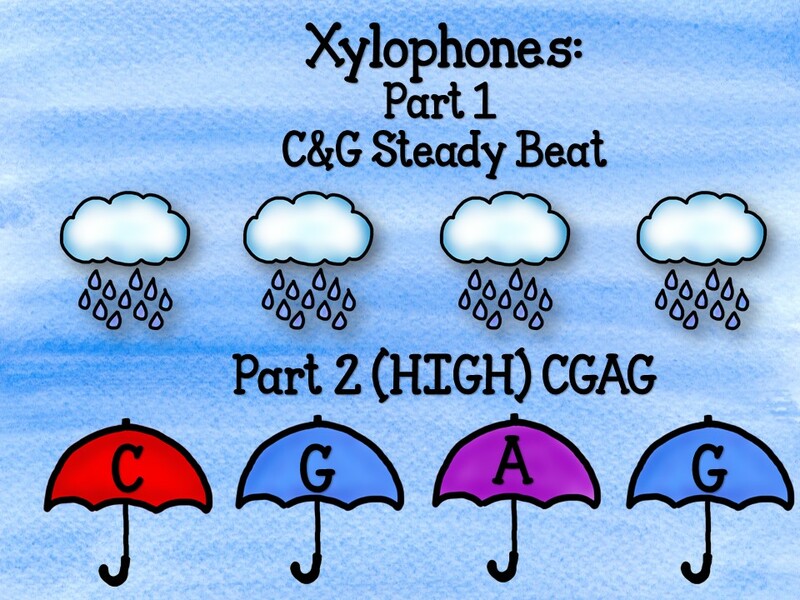 I added in a descant part for them to play on xylophones. There are many ways to help students gain a greater understanding the WHOLE WORLD! Next week I’ll be blogging about how to put together a music program using authentic music! Thanks for reading! We’ll be posting more ideas all month long so check back in!